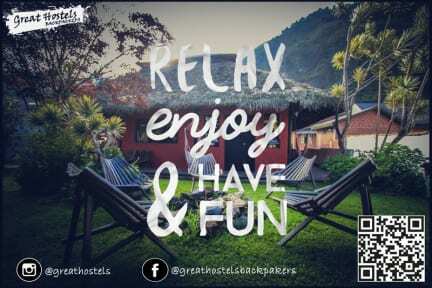 I son much enjoyed my stay at the great hostel. The staff is super helpful and friendly, awesome food, great location, amazing big dining room where you can play pool, drink a beer or socialise with the other guest. They even offer a free dinner few of the nights we stayed there. The dorms are very clean and very quiete. Wifi is not the best but considering the location I was more than happy to just check my emails and messages. I highly recommend to stay there.